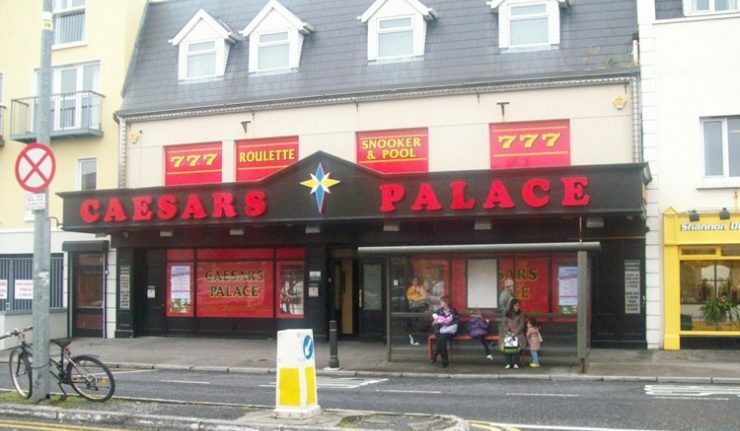 Located in the South of Galway, Caesar’s palace advertises itself as the city’s favourite amusement arcade and bingo hall. As well as being the perfect place to enjoy a game of bingo, the attraction also offers a wide range of casino games for players to test their luck on. Situated just a few minutes from the sea, the bingo hall is easy for both locals and tourists to pop into. Better still, it is open 7 days a week so you can enjoy the competitive atmosphere whenever you like. With the opening hours of 9 in the morning until 6 in the morning, there is little opportunity for you to miss out. Like all casinos in Ireland, you will need to present a valid photographic ID before entering to prove that you are over 18. Additionally, the casino has to abide by the Gaming and Lotteries Act of 1956. 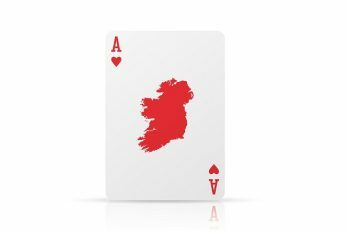 According to the outdated laws included under this act, technically casino gambling is still illegal in Ireland. To get around this technicality, all Irish Casinos operate as members-only clubs. Don’t let this put you off though, becoming a member of Caesars Palace Bingo Hall Galway Casino is simple and better still, free. Upon your first attendance, you will just need to complete a simple form. This is then processed immediately, allow-ing you entry to the casino. In this article, we explore Caesars Palace Bingo Hall Galway Casino in more detail, looking into exactly what the attraction has to offer. At Caesar’s Palace, there is a whole range of slot machines to choose from. Though it refers to itself as an amusement arcade, don’t be fooled into thinking the attraction won’t provide a true, casino experience. Inside the hall you will find an array of both classic and contemporary slots, providing hours of fun to play-ers both young and old. Although Caesar’s Palace focusses on digital devices, you won’t miss out on a classic game of Blackjack. Enjoy the traditional game with a modern twist, when playing on one of their digital machines. With the exact same rules as the traditional version, computerised Blackjack offers a variety of modern benefits; for instance, the machines boast the option of auto-play. This dynamic feature allows players to sit back and enjoy the game without figuring out how much they need to bet! If you’re hoping to enjoy a game of Roulette, you’re in luck! Caesar’s Palace offers a range of electronic roulette machines to play on. Much like with digital blackjack, the machines provide players with a game of traditional roulette, with some modern benefits included! The game works through a series of com-puter screens, with a real wheel in the middle of them. If you’re someone who prefers to concentrate on the game rather than make conversation, the digital machines will be right up your street. Each player has their own screen, allowing them to select their stake digitally without having to talk to the other players. Much like roulette and blackjack, Poker available at Caesar’s Palace is digital. Already popular in Las Vegas, digital poker is becoming all the rage. Pop into the casino any time to enjoy the computerised fun. While Caesar’s Palace does offer a great range of casino games, the main attraction is the bingo hall. The hall offers both traditional and electronic bingo, allowing players to pick the option that they prefer. With games on every single night go the week, you need not worry about missing out on the fun. The main game of the evening kicks off at 8:30 pm, but early bird events start from 7:30 pm. If you fancy a game during daytime hours, take a look at the Caesar’s Palace timetable for more details. As mentioned previously, you need to be over 18 to gamble in Caesar’s Palace. To avoid refused entry it is sensible to bring along photographic ID – your driving license or passport will be perfect. Once you have become a member of the club, though, you needn’t worry about this aspect anymore. 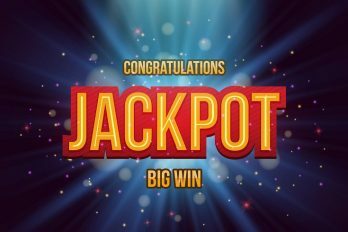 Filling in a simple form will not only allow you to enter the casino but will also allow you to take advantage of their player rewards scheme, too. Caesar’s Palace prides themselves on having one of the best rewards schemes in Ireland. Named the ‘Vantage Club’, the scheme has three different levels. The standard membership is gold, providing play-ers with members-only promotions. If you are interested in a platinum membership, you will be given a welcome pack to flick through, as well as special offers when your birthday comes around. The highest level of the rewards scheme is diamond; a diamond membership will provide you will all the benefits of the other levels, in addition to a diamond welcome pack and bingo discounts. Located on the bottom end of town, Caesar’s Palace is close to Claude Toft Park. If you’re not sure where this is, another attraction nearby is the Galway aquarium, situated just a few minutes walk away from the casino. Christ the King’s Church is visible from the casino doors, so if you can see this then you’re probably in the right place! If you’re using public transport to make your way there, there are a number of bus stops within walking distance of Caesar’s Palace. The closest stop is Salthill Road / Upper Galway, located just outside the front door of the attraction. If you’re getting the train then the closest main station in the city is about half an hours walk away. For more information on getting to Caesar’s Palace simply visit their website before set-ting off. Whether you’re hoping to test your luck on the digital slots, or you’re more interested in taking advance of the famous bingo hall, Caesar’s Palace has something for everyone. As always, though, with casino gambling, it’s important to know when to stop. 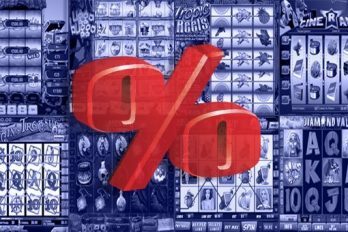 Due to the addictive nature of modern slot gaming, it’s imperative to consider your financial situation before stepping foot in the casino. If you’ve to a few spare pounds though, by all means, go and try your luck; you never know, you might just be one of the lucky winners.